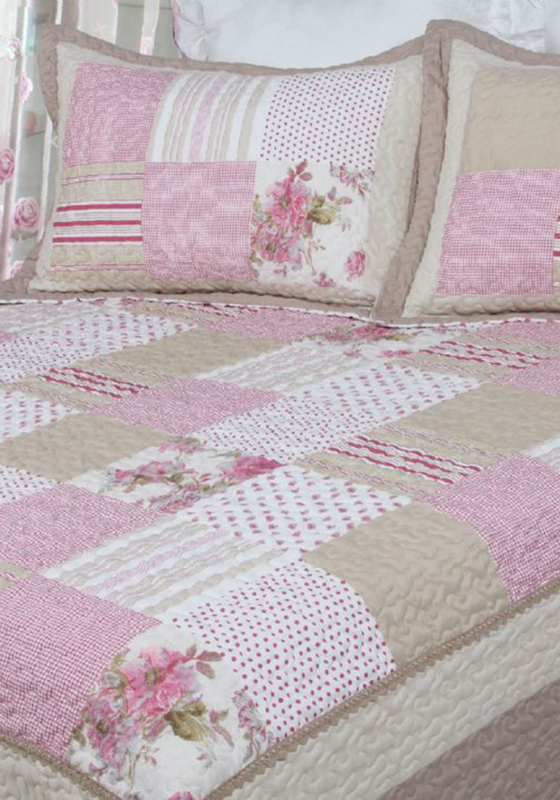 Add a vintage touch to your bedroom with the Antique Rose bedspread from Cocoon which features a variety of pink, white and beige patterns which creates a patchwork effect. 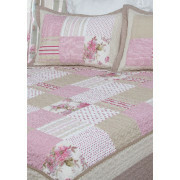 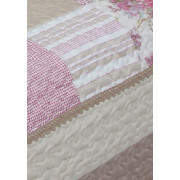 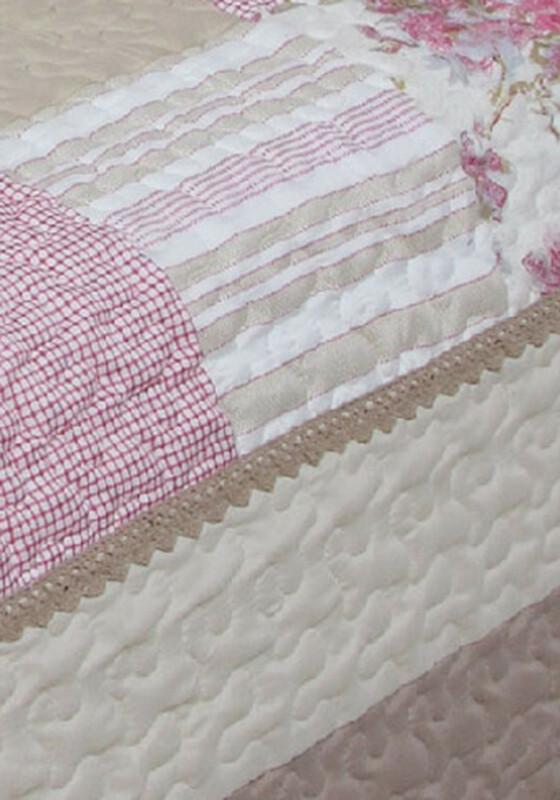 Crafted from quilted fabric which is lightly padded with cotton rich filling. Add the matching pillow shams to finish the effect.